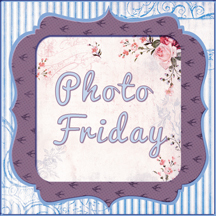 Welcome to this week's Photo Friday. 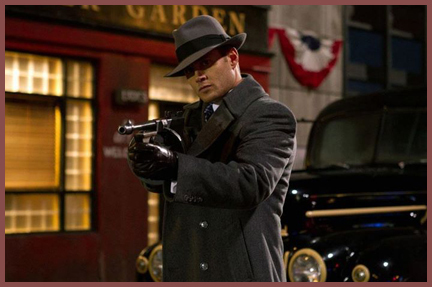 In the spotlight this week is my latest obsession: Jensen Ackles. When it comes to TV shows--unless they're sitcoms, I'm usually late to the party. Like years late. I have trouble with TV Dramas, because unlike sitcoms, you really have to commit yourself to spending a certain amount of your time to watching them and if you miss a few episodes, the next time you go to watch, you don't know what the heck's been going on. In a way, it works out better, because I don't have to wait months while the show's on hiatus to find out what happens after that cliffhanger. Anyway, my latest obsession, is Supernatural. Back when it started in 2005, I had no interest in it whatsoever. I guess at the time, it just wasn't my thing. Thanks to Netflix, and some much needed break time away from my PC, I decided to give it a go. Well, I'm about five episodes away from the end of season 1 and I am LOVING it. 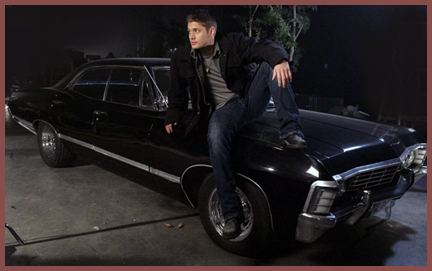 My favorite character is Dean Winchester. No surprise there. Aside being an awesome actor, he is... well, why don't I show you? 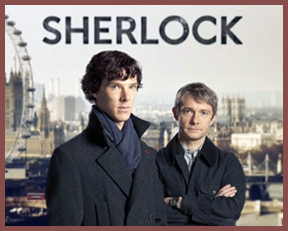 Welcome to this week's Photo Friday, featuring my second TV series obsession: Sherlock, with Benedict Cumberbatch and Martin Freeman. (If you're reading on Goodreads, please excuse the formatting). 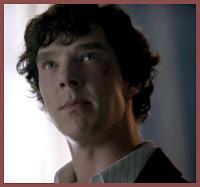 I admit, Benedict Cumberbatch is a new to me actor. He's been in a good deal of British shows and films, but unfortunately, I haven't caught many/if any of them. Personally, I think Cumberbatch (and what an awesome name is that?!) makes an amazing Sherlock Holmes, because although it's a modern adaptation, Cumberbatch still brings to the role a very Victorian feel, and his voice is just dreamy. He plays the combination of genius and socially inept perfectly. Love it. 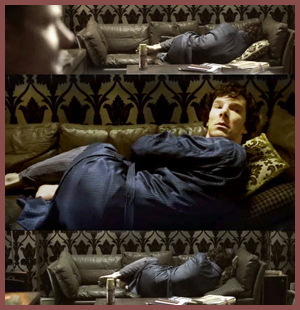 I love his expressions throughout the show, when he throws a tantrum or pouts, not to mention poor John's reactions to his shenanigans. 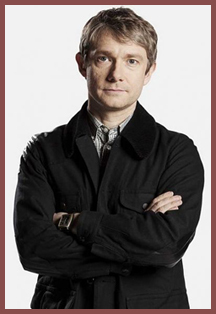 Martin Freeman I am much more familiar with. I was first introduced to him back when he was in the British series of The Office, and I thought he was adorable. His character's will-he or won't-he relationship with Dawn was almost too heartbreaking at times. He was funny without trying to be so, and one of the best characters on the show. He was hilarious as Ricky C, part of Ali G's Westside crew in Ali G Indahouse. If you haven't seen that movie, and you've watched Martin Freeman in Sherlock, you'll never see him in the same light again. For those brave souls who want to see a clip, I direct you here. Don't say I didn't warn you. Oh yeah, and he's Beatboxing in that clip. He was also in Shaun of the Dead, but if I remember correctly, it was a brief cameo. He was also in Hot Fuzz a little. He appeared quite a few times on Never Mind the Buzzcocks, which is a fun show. And now he's going to be Bilbo Baggins in The Hobbit, which will also have Benedict Cumberbatch. 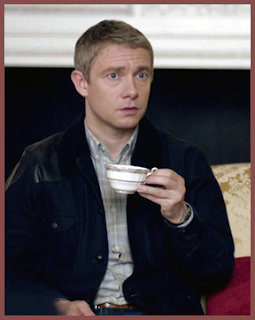 I have to admit, I have a little crush on John more than Sherlock. He's just such a cutie! Together, Sherlock and John have amazing chemistry, and I love watching how John slowly starts to crawl under Sherlock's skin. 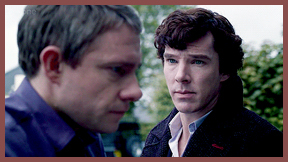 They're opposites in every way, but John is far from an idiot or simply someone placed there so that Sherlock can bounce his genius off him. He's a strong man, a former soldier with a big heart who won't hesitate to throw himself in the line of fire. 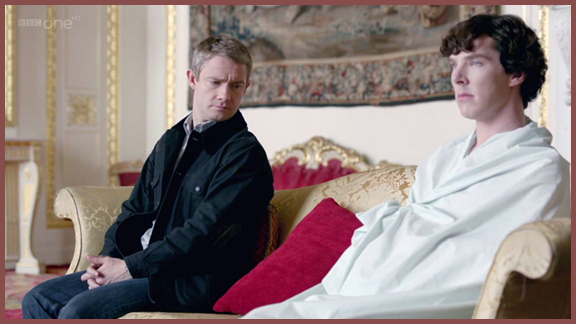 He quickly starts to see things in Sherlock that others don't. Watching their friendship grow has been one of the best parts of the show. It's all very clever isn't it! Do you think in the future people will stop talking to each other face to face? That's something to live and hope for. For some amazing Sherlock fanart and shipping, check out the Mysterylock tumblr, as well as the SPNandSherlock tumblr. Now before I spent a decade or so living in the UK, the British sitcoms I had been exposed to were some of the older classics they used to play over here on BBC America or PBS. Namely Blackadder, Fawlty Towers, Absolutely Fabulous, Are You Being Served, and Keeping Up Appearances. 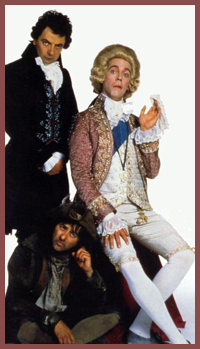 I loved Blackadder, Fawlty Towers, and Absolutely Fabulous more than the others I admit, maybe because they were a little newer, I understood them a little better, though sometimes some of the cultural references went over my head, as well as some of the humor. It was only while I was living in the UK, completely submerged in the culture that I was able to truly appreciate these shows and their cleverness, not to mention completely understand the humor. What I love about many British sitcoms is the sometimes gray world these characters live in, and I don't just mean in a lack-of-sunshine kind of way. There's a sweet sadness, and amazing cynicism to them. Unless you're watching something like the Might Boosh which has very little to do with reality, the characters in most British sitcoms are real people that you know--people you work with, your family, your friends, even you. 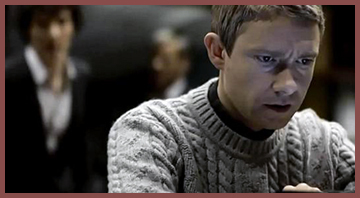 Martin Freeman as Tim, and Lucy Davis as Dawn in The Office. Which is why sometimes you feel them even more, because these characters--despite the shows being comedies, aren't always winners. They fail, they do incredibly embarrassing things that make you cringe, sometimes they can't seem to catch a break. A few of them hate their lives, themselves, or the world around them. Sounds depressing, doesn't it? 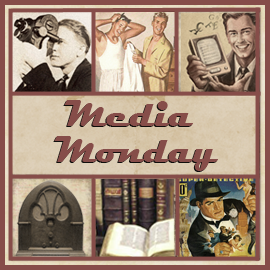 Through some amazing writing, and humor, the characters become endearing, and memorable. Now I'm not saying I don't enjoy American sitcoms. I have plenty of favorites, but American sitcoms aren't written the same way--obviously. Anyway, I'm not going to get into the differences here, merely share some of my favorites. I won't get into the old British classics, because they're a whole other kettle of fish. Trying to dissect British sitcoms from the 70s is not an easy task (Carry On...?). For me, some of the characters in many of these sitcoms are so memorable, that years later I remember who they are, their names, and the great things about them. Why is that impressive? Because if you ask me what I had for lunch yesterday, I wouldn't be able to tell you. I have a terrible memory, and have very little control over what remains inside and what drifts away, just ask anyone who knows me. So the fact that these characters stay with me, really means something to me. Now, onto the shows. Bernard Black is the owner of Black Books, a bookshop. Sort of. He's rude, cynical, a drunk, a slob, smokes like a chimney, and is completely amazing. You just want to hug him because you know how much he'd hate it. His relationship with Manny, his employee and (possibly only) friend--except for Fran, is hilarious. I love Bernard. I sure as hell wouldn't want to live with him, but I love him. The IT Crowd - because who wouldn't want to watch a sitcom about two socially dysfunctional, comic book reading, Wii playing, adorable IT guys and their department head 'Relationship Manager' who knows nothing about IT? Peep Show from award winning David Mitchell and Robert Webb. I love these guys.Where as That Mitchell & Webb Look is a comedy sketch show, Peep Show is an actual series, and it's fantastic. Armstrong & Miller: Terribly British and terribly funny. Love the chav RAF pilots. Panel shows: QI hosted by the amazing Stephen Fry. Loads of fun. 8 out of 10 Cats hosted by the funny Jimmy Carr, and I love team leader Sean Lock. Never Mind the Buzzcocks fantastic music quiz type game show with guests from the music industry, movies, and TV. Classic comedy duo: French & Saunders. Their movie parodies were the best.